A biker has been handed a top health and safety award for his work protecting the well-being of others. 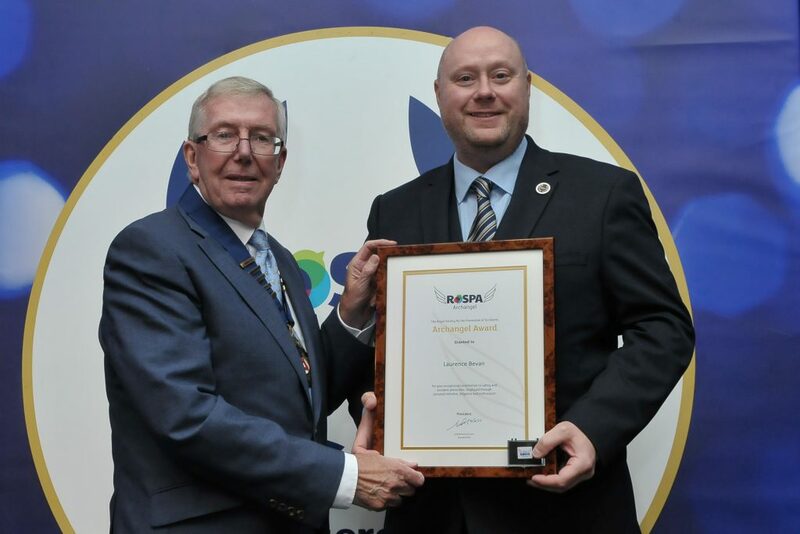 Laurence Bevan, from Worcester, received the RoSPA Archangel Award at a glittering ceremony in Glasgow last night (Thursday). Nominated by his former employer Hydro Extrusion UK, where he worked as a health, safety and environmental manager, Laurence left a legacy there of more than 900 days without significant injury at the company’s Cheltenham plant. On top of his excellent professional record, in his spare time Laurence dedicates himself to delivering vital blood, documents, samples and equipment across the region as an emergency courier for the NHS as part of the Blood Bike service, he is a member of his local Blood Bike group, the Severn Freewheelers. In this role, Laurence also shows a commitment to road safety, having had to become an advanced motorcycle rider to be able to volunteer. Errol Taylor, RoSPA’s chief executive, said: “For his commitment to improving the safety of others, both at work and out of hours, we are delighted to present Laurence with our Archangel Award." On call overnight half a week at a time, he is also a blue-light trained responder, allowing him to make safer progress during an emergency response. And Laurence continues to reinvest his experience, training as an observer for his local advanced IAM riding group, Redditch Advanced Motorcyle Group, thereby helping others to become safer motorcyclists."